Once settled on your pitch, you can enjoy play and sporting activities to relax and to entertain you as a family or with friends. Great opportunities to meet other people: a multi-sports area for football, basketball, handball, volleyball and tennis tournaments… but also table tennis tables. Not to be missed, the boules tournament awaits you to see how you match up to your friends. Nothing like a game of boules on the campsite for making new friends amongst the other campers and for spending an enjoyable time. A play area with a slide, swings and other playthings on springs is set up for children. Whilst there, children are under the supervision of their parents. 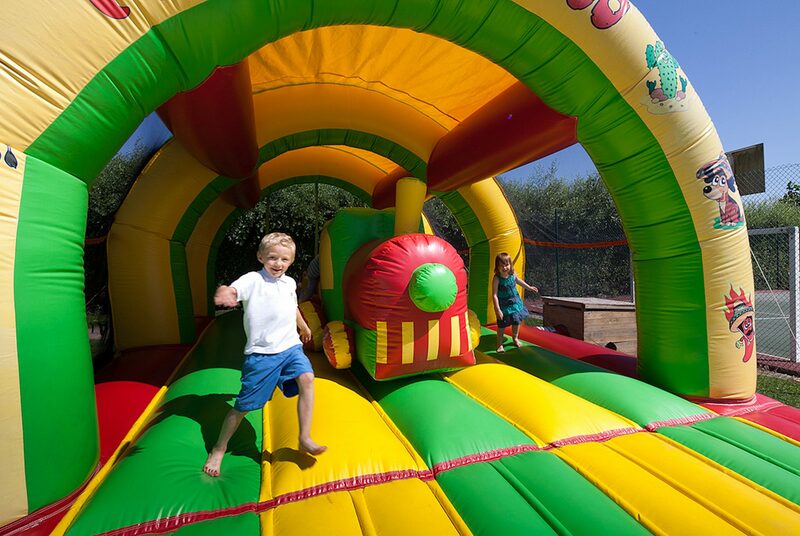 Children can also have fun on the bouncy castle which can be used all day. Video games, pinball machines, table football and pool are a place to meet up in the room near to the bar. We suggest that you might like to walk or to keep fit, either on foot or on your bike, on the little 800 metre trail. For those who love sport, we suggest that you might like to get toned up in our fitness room. 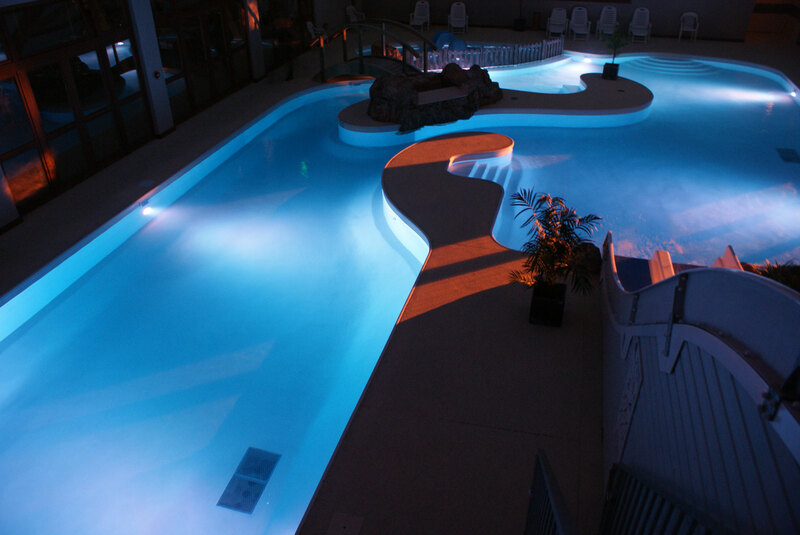 You can also have a moment of relaxation and well- being in the sauna which is next to the pool. During the months of July and August we are offering pony rides for the children on the campsite on an afternoon. A real delight for the youngsters!!! 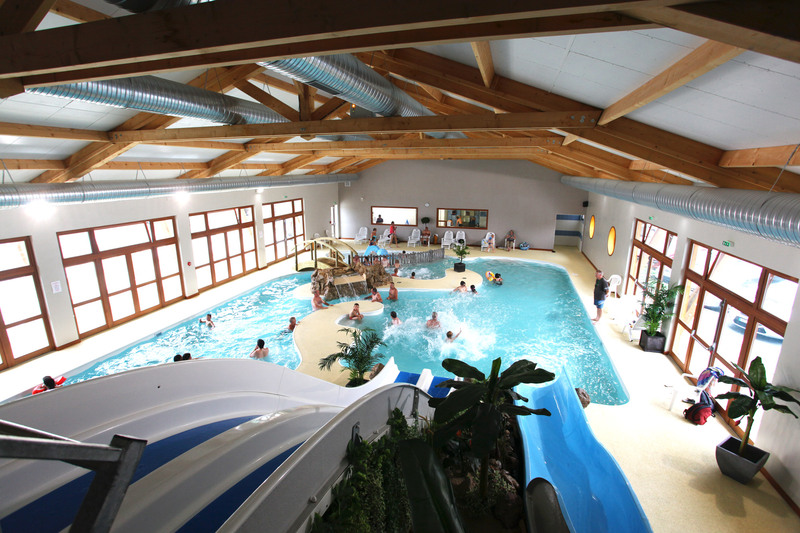 Daytime and evening activities take place from 04/07 to 28/08. We can offer you a variety of evenings during the week such as the evening at the pool, the karaoke evening and the dance evening…. For the consideration of all, the evening entertainments end at midnight. During the daytime we can offer you boules tournaments, two days of introduction to archery, card tournaments, pony rides on the site….. The entertainments program is on display in the campsite.